Printed on sustainably harvested Western Red Cedar, this postcard is pure class. The two-ply Cedar prevents breakage during mailing and is very flexible and smooth. 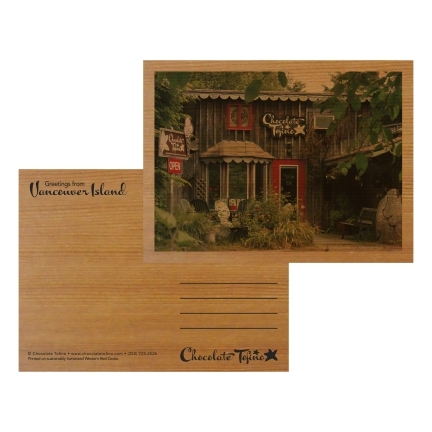 Cedar postcards also take less wood to make than regular postcards and are environmentally friendly. 4.5"x6"